Connor and I were on our way to pick up Natalie from school one day last week when he piped up from the backseat, "Mom, turn it up!" "I said, TURN IT UP! It's our favorite song." Indeed. The opening guitar riffs were just underway. So I did what any rock-and-roll Mom would do -- I cranked the tunes, wrinkled my face into a rock star scowl, instigated some moderate head-banging, and urged Connor to join in. Which he did, with gusto. "Mom, even my banana likes this song!" yelled Connor, mid-chorus. High praise from a four-year-old. So. Are you curious yet? Want to know which song prompted the jam session in my Mom-mobile? 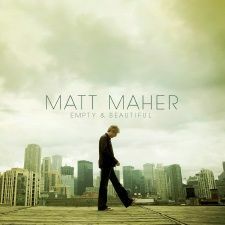 About two months ago, I got a copy of Matt Maher's new CD "Empty and Beautiful," and I've been marinating in it ever since. His songs have been my constant companion -- in my car, in my kitchen, in my heart. And I am the better for it. As Shannon said, Matt's songs are not cotton candy. His lyrics are deep, thoughtful, rich. I love that. But his music isn't heavy, either. It's thoughtful without being depressing and joyful without being cloying. Like his friend Chris Tomlin (who first popularized Matt's song "Your Grace is Enough"), Matt draws much of his inspiration directly from Scripture. The opening lines to "Shine Like the Son" echo Isaiah 52:7, and the title track "Empty and Beautiful" is a twist on 2 Timothy 4:7. You fought the fight in me. You chased me down and finished the race. I was blind but now I see. Jesus, you kept the faith in me. Many of his songs are destined to become Sunday morning favorites -- the upbeat "For Your Glory," for example, or the worshipful "Unwavering." I also think "Look Like a Fool" is going to rocket up the charts, if given a radio release. And I could go on. But why would you want to listen to me ramble when you could listen to the real thing? I have three (THREE!) copies of "Empty and Beautiful" to give away. Just leave me a comment on this entry, and I'll draw three random names this Saturday, June 7. And spread the word! Just no bananas, please. This contest is open to humans only. Great giveaway. I would love to win this CD. Sign me up! I need some new music! I went to, I listened to, and I could definitely see the head banging potential in this CD. Please enter my name into the contest. Thanks. Ooh- that sounds fun! I'd love one. And I'm curious to hear more about your Sabbath. Even though the DH and I agreed about a month ago that this is important to us, it still ain't happening. So hard with little ones!! Oh, I can't resist a giveaway. And I'm intrigued by the bloggy press this CD has gotten. And if it's mommy minivan head-bang worthy, I'm all over it. The humans at my house would just like to have a chance to win. Oh how great this CD would be in my car CD player! Pick me, pick me! Great giveaway! I'll mention it at An Island Review. 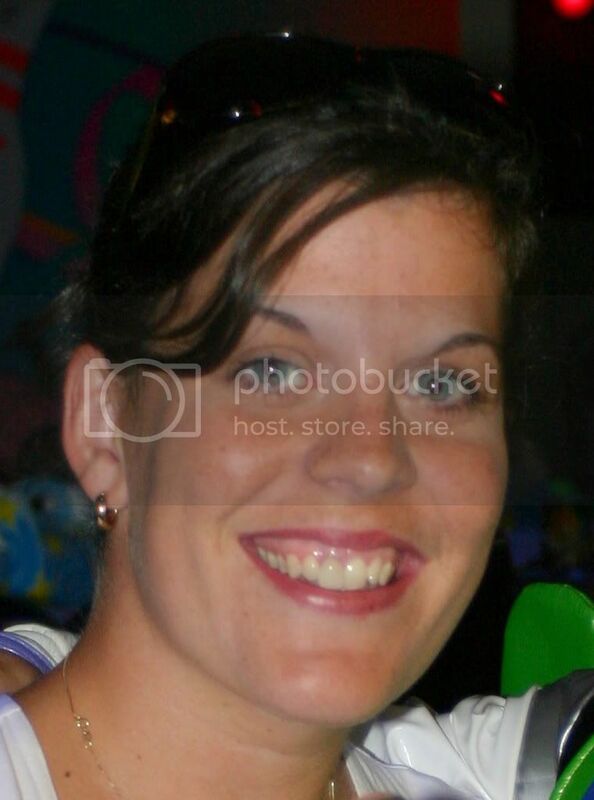 i would love to listen to those tunes...great blog, by the way! Great giveaway. I'm out of iTunes money, so I would love to win. No fair!!! I just started groovin' to the sample when it stopped. Now I need to win your drawing so I can listen to the whole thing. Please? Praise for this CD is rampant on several of the blogs I read. But alas, I still don't have a copy of my own. Maybe that will change in a couple of weeks! Thanks for the opportunity to throw my name in the hat. I love Matt Lauer! Glad to hear he finally came out with a CD. That Meredith Viera just rides his coat tails... and well, Al Roker just looks weird these days. I'd love to add this CD to my listening collection! Great giveaway! Alright, twist my arm! Seriously, I'd love to enter your giveaway! Don't enter me - I got the pre-release, too. Just wanted to chime in and say that I LOVE this CD. My favorite song is "Unwavering." I can imagine we'll be singing it in worship services in years to come. Count me in! I keep hearing about the awesomeness of this CD, so I must see for myself. Count me in, I'd love to win! Count me in--me (and my bananas) are always looking for new tunes! So people can read bananas on my blog or have the bananas listen to music on yours. . . .or just go bananas! Sounds great! Count me in the drawing, por favor!! Count me in! I would love to win this CD. Great giveaway! I've never heard of him, but I LOVE Chris Tomlin so I bet I'll like it. I'm always on the hunt for good contemporary Christian music. I need something to head bang to! Throw my name in, sista! Yes, my girls would love to dance around the house to this. If I don't win, I'll add it to my "to buy" list. I love to get new music! I really hope I win! I followed instructions and checked it out. That is an amazingly good CD. Wow, thanks for the great give-a-way! I would love it! I'm always on the lookout for great new music. I'd love to be entered! Sounds great! I'd love to win this CD. What great sounds! Sign me up, please! Count me in! Sounds like a great CD! Sounds great! I would love a new CD to listen to this summer! Well. I found you because I read your comment on Sue's post regarding house "issues." We have two houses too. We too are the Trumps, evidently. I had my own three-hour conversation with the mortgage company today. It was so chatty and fun. You and I have something else in common, and that's a great God. So I'm really glad I kept scrolling down your page, because I hope I win this CD giveaway. Thank you for lifting my spirits today. I would love some new music! Sounds like a delightful, quality CD.